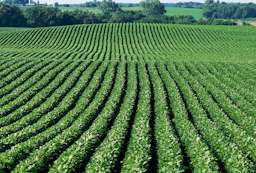 Our planet's population depends upon agriculture, and Mid-Michigan Specialty Crops, L.L.C. is proud to be a part of the development of wiser and more productive uses of our agricultural resources. Mid-Michigan Specialty Crops provides custom processing and identity preserved crops for several customers around the world. We handle a variety of dry edible beans, including: Adzuki beans, Pinto beans, Kintoki beans, edible soy, and corn. Mid-Michigan Specialty Crops is also an organic certified processing facility. Mid-Michigan Specialty Crops, L.L.C. endeavors to play an active roll in meeting the ever-changing needs of agriculture today through teamwork and cooperation with growers and clients. Our mission is to provide quality food products to our international and domestic markets by promoting specialty food production, from the field to the table; and by extending fast and courteous service to all of the people involved in this process.